Laphroaig Single Malt Scotch Whisky, distributed by Maxxium UK, proudly reveals Laphroaig Select, the newest edition to the award-winning Laphroaig portfolio. 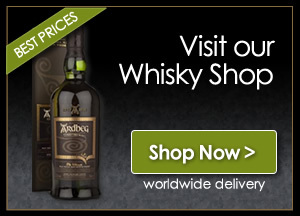 Laphroaig Select is available in selected whisky specialists and retailers (RRP £34.99). 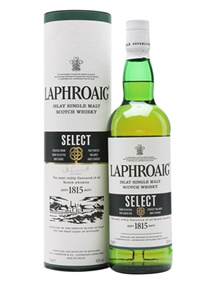 Laphroaig Select – Islay Single Malt Scotch Whisky, No Age Statement, 40% Alc/vol 70 cl. Nose…Caribbean fruit salad, smoke from an Islay chimney in winter, cherries with vanilla ice cream. Taste…Sweet, Cuban cigars whilst barbequing bananas on the beach, light lemon juice, a little ginger and pepper spice. Finish…Long finish, the smoke and fresh tobacco lingers, quite drying, a classy dram. That was certainly a fine dram and as Jim loves all things Islay, this dram was right up his street. this is a malt that is going to have it’s own spot in The Whisky Boys cabinet. 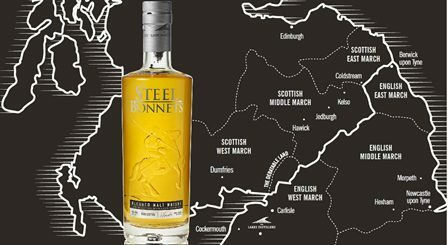 It is our suggestion that all our readers have a wee taste of this fine dram it’s a cracker. Well done to John Campbell and all at Laphroaig Distillery for this grand dram.